Our Christmas orders have now closed but don’t worry we have plenty of prawns, oysters and crayfish (and not to mention any number of delicious seafood) available. 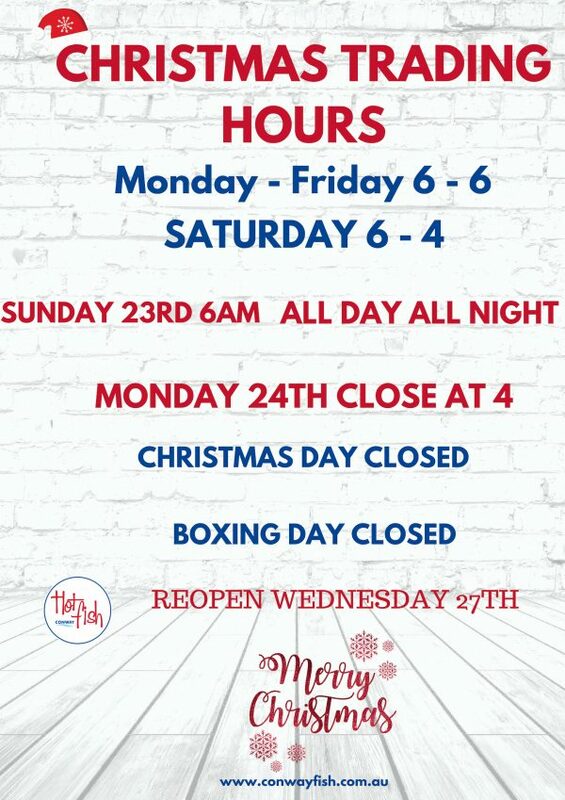 We will embark on a massive 33 Seafood Marathon commencing Sunday 23rd at 6 am working through the day and Night to ensure you don’t miss out on your seafood essentials. We will close at 4 on Christmas Eve. All the the team at Conway would like to “fish” you a fishy Christmas and a Prawn New Year.